CDS Manufacturing builds table top roll sorters, also known as ‘roller sorters’ and ‘roller micrometers’. Load parts manually, provide your own feeder, or let us build a feeder specifically for your application. 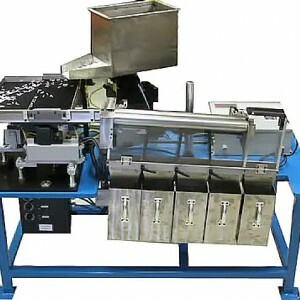 Standard table top roll sorter system includes a pair of 12″ case hardened stainless steel rollers, adjustable roller height and angle, locking roller position adjustments, adjustable fallout baffles, stainless steel storage bins, and roller speed controls. Output chutes are also available. Customize your pedestal roll sorter with a set of +/- .002″ TIR rollers for loose tolerance sorting, or a pair of .000005″ TIR rollers for precision tight tolerance sorting. 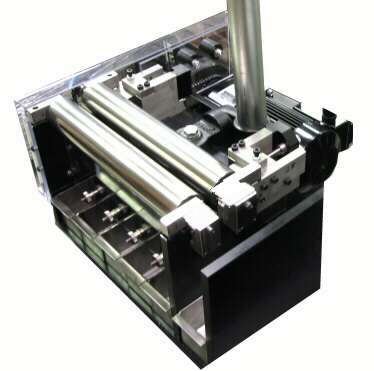 Table top units are available with rollers that have a TIR of +/-.002″, +/-.0005″, +/- .0001″, +/- .000050″, +/- .000025″, or +/- .000005″. 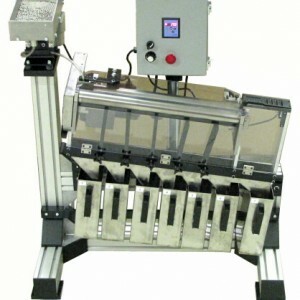 Our applications experts can help identify the perfect roll sorter system for your specific application.